Wybron understands that stage lighting is an art and that there is an infinite amount of options involved in getting it right. Our stage lighting accessories are designed to give you more creative possibilities to achieve the special effects you want to convey. We offer a range of products including our quality scrolling color changers as well as our mechanical dowsers and lighting management system. It all started when Wybron’s CEO, Keny Whitright, invented the scrolling color changer in 1980. It sparked a revolution in the way lighting rigs were outfitted, designed, and used; and Wybron continues in the spirit of that tradition today. We have many award-winning products to our credit and have been recognized as a leader in the industry time and time again. Wybron offers a variety of innovative stage lighting accessories that have been used to transform performance centers, churches and architectural installations all over the world. All of our products are engineered for reliability, precision, and durability. We understand that you are making an investment, and we stand behind our products with a 2-year limited warranty. The Coloram IT and CXI IT are the workhorses of our scrolling color changers. Our Forerunner scrollers are an economical option that offer just enough features. The popular DMX-controlled dowsers, Eclipse IT Shutter and Eclipse IT Iris, give a lighting designer real control over HMI and other un-dimmable lights. A handy collection of iPhone, iPad, or iPod touch apps (such as the Gel Swatch Library HD or the CXI Color Calculator) that make a lighting designer's life easier. 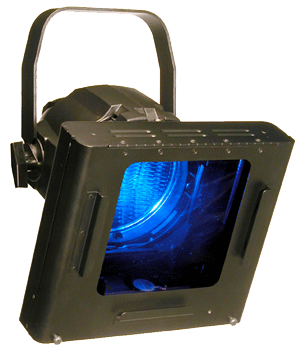 Wybron’s wide selection of stage lighting accessories is manufactured with the same high standards that we demand from all our products. If you require assistance or have questions, please call or email and we will do our best to help. Customer satisfaction is important to us. 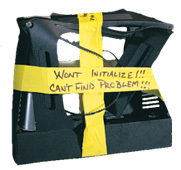 Wybron Inc. has been a leader in lighting innovations for over 30 years. We invest heavily in engineering and research which allows us to remain on the cutting-edge of entertainment, church, and architectural lighting design. 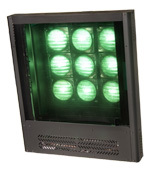 We frequently brainstorm with lighting professionals to ensure our customers have everything they need in terms of stage lighting accessories.